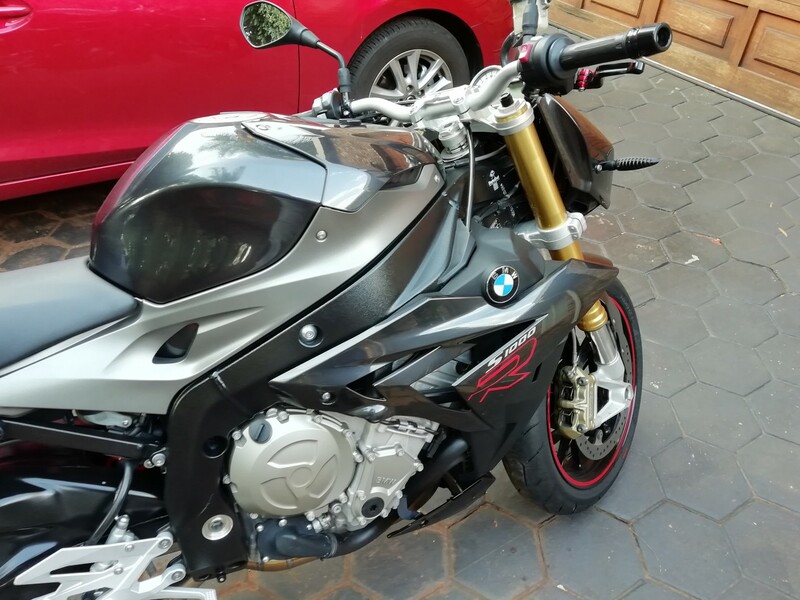 Came across this forum while doing a bunch of searches about the BMW S1000R (naturally). 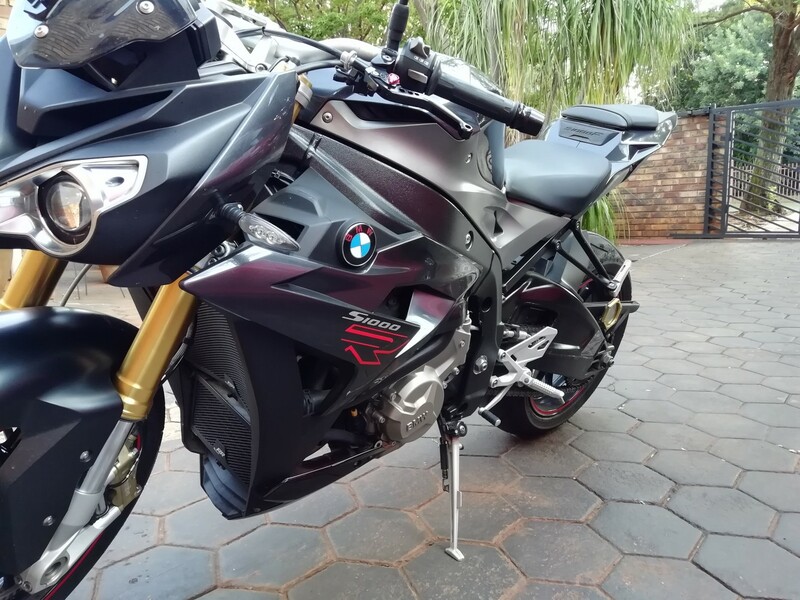 So I've had my BMW S1000R for almost a month, I've always loved BMW bikes and the S1000R has been my dream bike to own. 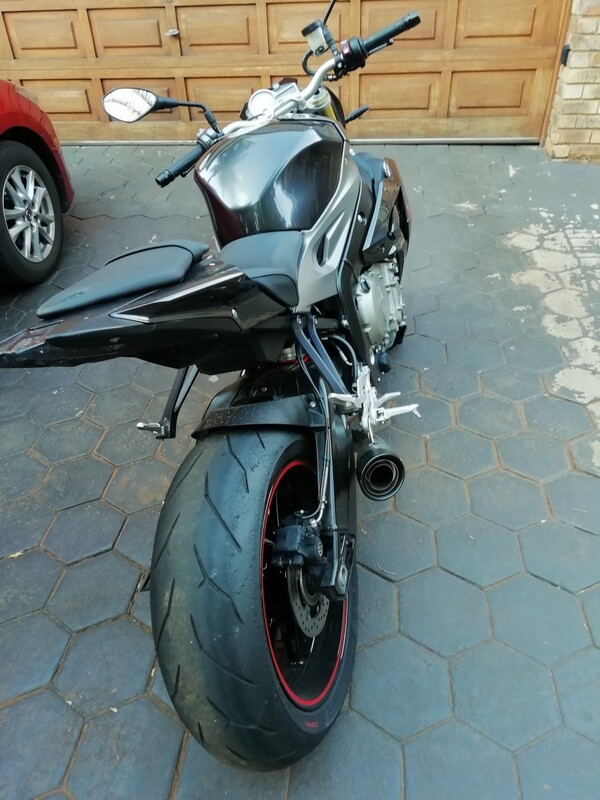 I came from a Kawasaki Z650 2017 model, I then found a 2016 S1000R in charcoal grey with 18k km on the clock for R112k and I knew I just had to have it. 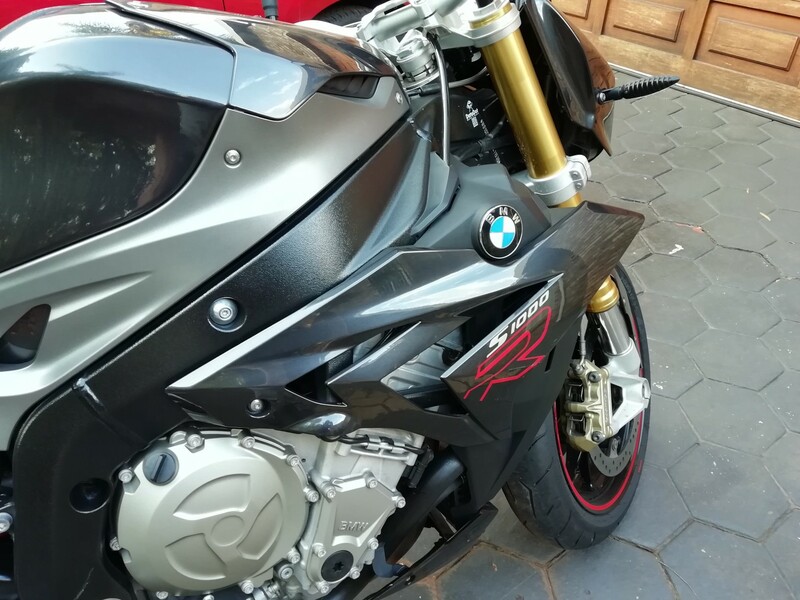 After purchasing it I sent it to BMW for a major service at BMW where they (the gentleman at BMW) could not stop talking about how amazing the condition was and that everything is perfect, in short he told me I scored an amazing deal - note the bike was not bought from them. The bike was completely standard when I took delivery and the very next day I had fitted a bunch of extras. 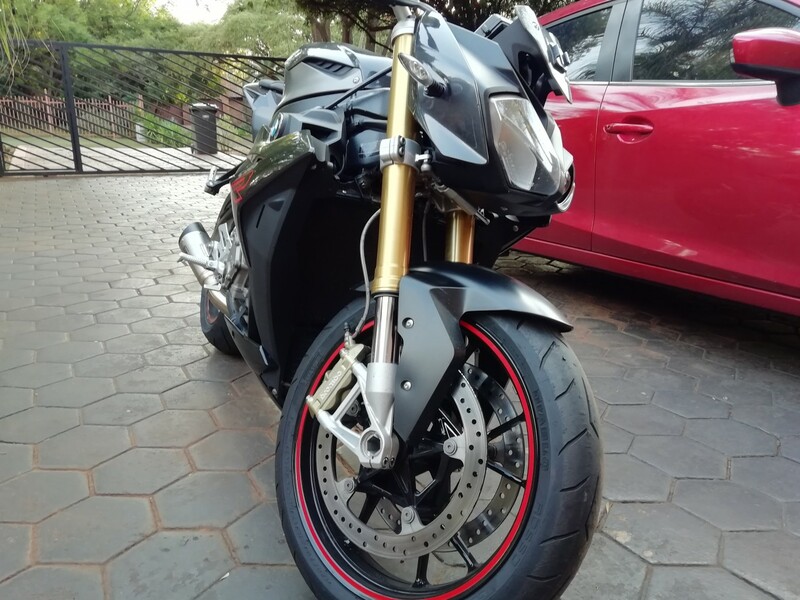 I use my bike as my daily vehicle to and from work but have also done a track day on it and two breakfast runs and all I can say is that they truly are amazing machines and love it to bits. Looking forward to spending a lot of time reading the threads on this forum. Great deal on a 2016 s1kr for $7700 with 11k miles. Never seen one in charcoal grey must be a custom paint job. You should post a pic I would love to see it. Will definitely take a couple pictures for you, just need to wait for daylight as I won't be able to get decent pictures right now. 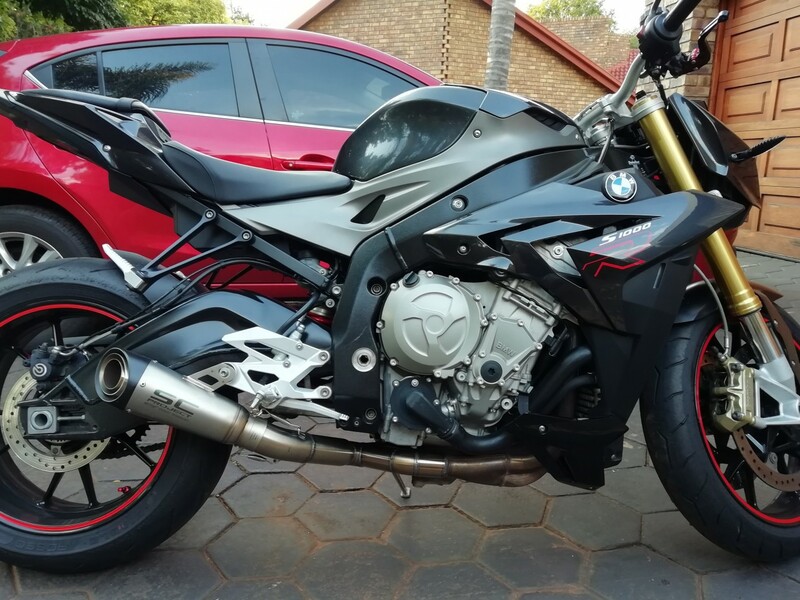 I got a good deal on my S1000R as well, the popularity of supernakeds are not as high in SA as other countries yet. Stay safe and enjoy the bike - I use mine as a commuter as well. Congratulations, enjoy your new weapon!